The great-grandson of the founder of Iran's Islamic republic says his father has been barred from running for a top clerical body. Ahmad Khomeini, the son of Hassan Khomeini, made the comment about his father in a post on January 26 to what appears to be his Instagram account. The state-run IRNA news agency also reported about the Instagram post. 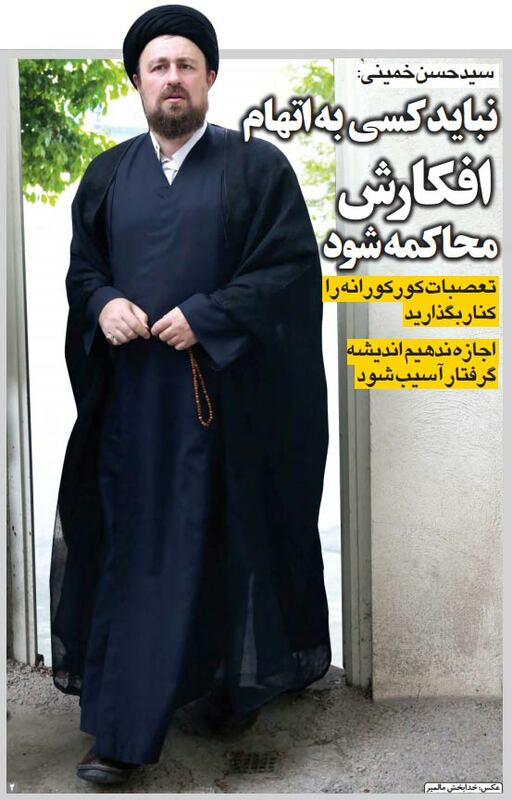 Hassan Khomeini, who has close ties to reformists, wanted to run for the Assembly of Experts, which is empowered to pick Iran's supreme leader. A final list of qualified nominees for the Assembly of Experts is expected to be released on February 16. A caption on the Instagram post read, "Last night, it was clarified that the Guardians Council could not ascertain the qualifications of my father." It did not elaborate.